Madiha (pictured above) was the only girl in her village of Basha Valley to go to school for a long time. Every day, she would walk two hours each way to the nearest school, an all-boys’ school, with nine other boys who would hit her with sticks and stones along the walk. But Madiha was undeterred. 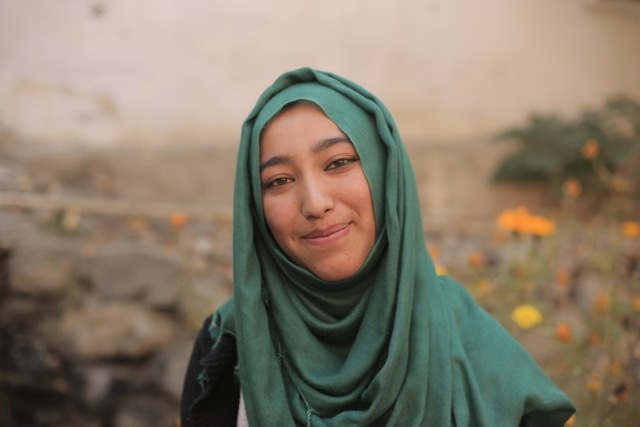 Even when her family didn’t give her permission to go to high school and other community members said she would never bring money or honor to her family, Madiha persisted. She ignored the hurtful things people said about her and convinced her father to send her to high school, with a scholarship from Iqra Fund. But not without making sure she could bring her younger sister along with her.